A story of a life-threatening mission and unconditional friendship where a group of Finnish cave divers try to bring their dead friends home. Four Finnish cave divers face their worst nightmare when two of their friends drown deep inside an underwater cave in Norway. When the official recovery operation is called off by the Norwegian and British authorities after being deemed too risky, the friends set out on a secret mission to retrieve the bodies themselves. Diving into the Unknown isn’t just the dramatic story of a life-threatening mission. It is also a story about unconditional friendship that truly runs deep. While each member of the team has years of experience exploring dangerous deep-sea caves, together they are about to face the biggest challenge of their lives. To make it out alive, they will need to be able to rely on each other every second of the way. And the physical demands of this operation will pale in comparison to the psychological toll it will take on everyone involved. With footage from the actual accident and multiple cameras both above water and deep below the surface, this film follows the breathtaking recovery mission from beginning to end. On 6 February 2014, a terrible accident happens 130 m. below the surface in a deep underwater cave in Plurdalen, Norway. Two divers drown and three miraculously survive. The official mission to retrieve the bodies is aborted after being deemed too dangerous by the Norwegian and British authorities. The Norwegian police close the entrance to the cave indefinitely. Determined to bring the bodies of their friends home, the three survivors, Patrik, Kai and Vesa, with the help of another diver, Sami, put together their own team and begin planning a secret recovery mission. The entire team consists of 14 Finns and 11 Norwegians, and each team member has an important role to play. The Finnish team mainly includes people who actually knew the victims. To avoid being discovered by the authorities, they team splits up and makes the 1000 km journey from Finland to Norway at different times. The Plura cave system is located in Northern Norway, approximately 50 km from the town of Mo i Rana. The cave has two entrances: the Plura lakeside and the Steinugleflåget dry cave. The entire cave system is approximately 2 km long and 130 m deep, with large sharp rocks and extremely narrow passages. The water in the cave is ice-cold at between 2 and 4 degrees celsius. The Steinugleflåget dry cave is a massive cave at approximately 350 m long and 120 m deep. The cave is only accessible by snowmobile during the winter and quad bike during the warmer months. The operation begins on 22 March 2014 and is expected to last five to seven days. The team rigs a rope track across the valley and transports their equipment to Steinugleflåget. A total of 1100 kg of gear is taken down to the Steinugleflåget dry cave, including additional equipment incase of emergency. The team then splits into two smaller teams: Team 1 (Patrik, Kai and Sami) start from the Plura lakeside and Team 2 (managed by Vesa) starts from the Steinugleflåget dry cave. The plan is for Team 1 to enter from the Plura side and release the first victim from his tangled lines at a depth of 120 m and then move both of the bodies to the Steinugleflåget dry cave. The second victim will be recovered the following day. The only way to get the victims out of the cave is to cut their gear loose underwater. The team calculates that they’ll have around 10-15 minutes in which to free the first victim. The first dive is expected to take at least seven hours, and it literally becomes more dangerous by the minute. If something goes wrong and the divers are unable to navigate the narrow passage in which the first body is stuck, the team will have to endure a potentially deadly 10-hour dive. To minimise the risk, they build a safety habitat on the Plura side for safer decompression. Dive deeper into the story of this life-threatening mission. Watch the trailer here. Born in 1972, Patrik lives in Porvoo with his wife and three daughters. He is a trained fireman and rescue diver and has worked at the Helsinki City Rescue Department since 2001. He has been diving since 1997 and cave diving since 2005. Born in 1981, Vesa lives in Hämeenlinna with his girlfriend. He is an electrical designer and is a unit leader and rescue diver at the Hauho volunteer fire department. He began diving in 1999 and cave diving in 2007. Born in 1967, Kai lives in Vantaa with his wife and three children. He works as an electrician and has been diving since 2007 and cave diving since 2010. Born in 1980, Sami lives in Helsinki with his girlfriend. He is a professional diver who trains technical, cave and closed-circuit divers from around the globe. He began diving in 1995. The project began in May 2010 when cave divers Janne Suhonen and Antti Apunen approached us with their book, “Divers of the Dark”. The book is about the exploration of a huge underwater cave system under the city of Budapest, and it also provides a general overview of the field of cave diving. The book mesmerized me and I was eager to find out more. "It occurred to me that cave divers and astronauts are really the last true explorers in the world today. Going deep inside these caves means having to rely solely on their own skills, as no GPS or other devices can reach those depths." Cave diving is one of the most dangerous jobs and hobbies in the world, requiring a huge amount of both physical and mental strength and stamina. The more I looked into the subject, the more certain I became that there was a powerful story to be told here. I’ve never really been keen on diving myself, but what really interests me are things like how far ambition can drive people, how much people are willing to sacrifice in order to achieve their goals, and if there’s any clear common denominator amongst people willing to risk their lives to do something they love. Questions like this became my driving force in telling this story. Once we decided to work together, Janne and Antti hooked us up with a group of Finnish divers who were preparing to attempt a new world record for the longest cave dive. This became the main focus of the story. While the group was preparing for the dive, a terrible accident happened 130 m below the surface in an underwater cave in Norway. Two divers drowned and three miraculously survived. Obviously the accident devastated everyone involved and our film project was put on hold. But when the official recovery operation was aborted and the three survivors decided to organise their own, we were invited to join them. This obviously dramatically changed the entire storyline, however the thematic approach remained the same. We knew this would be an extraordinary mission and a powerful story, but at the same time we also knew that it would have to be captured with absolute respect for the victims and their families. "The accident devastated everybody and our film project was put on hold." I strongly believe that the story has all the powerful ingredients to touch people across cultural and geographical boundaries. Ultimately this is an amazingly candid story of unconditional friendship, overcoming adversity and experiencing something that really any one of us can identify with. The idea of going to any lengths to bring your friends home is certainly noble. But this story is even more complex than that. Ultimately it asks the question: Is this something that’s worth dying for? Juan Reina is a director/scriptwriter who graduated from the University of Wales, Newport in 2005 and has worked in various projects in Africa, the Middle East and Europe. His films have received awards and nominations at festivals around the world, including the International Documentary Film Festival Amsterdam and festivals in Sheffield, Buenos Aires, Tampere, Qatar and Cairo. 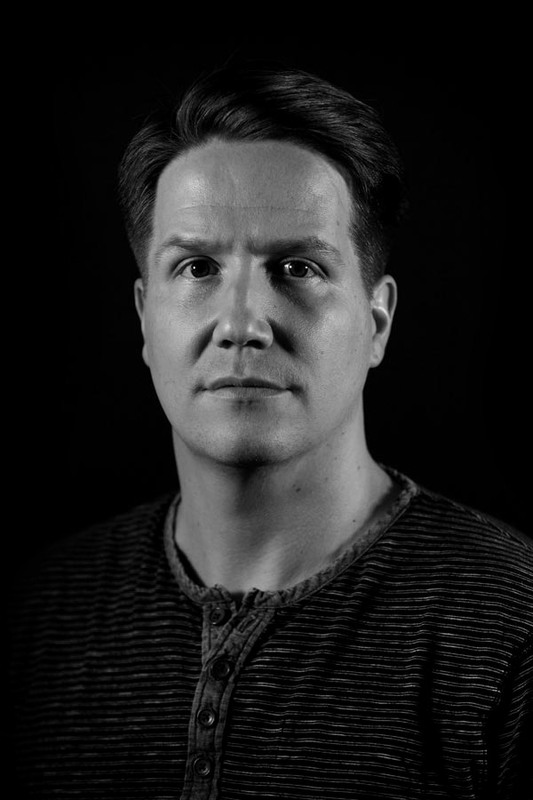 Juan has directed films and series for National Geographic, Channel 4, YLE, and MTV3 Finland, among others. Juan’s work includes films like “Iseta- Behind the Roadblock” 2008, “Albino United” 2010, “6954 Kilometres to Home” 2013 and a six-episode documentary series for YLE called “Operation Mannerheim” 2012. “Diving into the Unknown” 2016 is his first feature-length documentary film. Sign up for our newsletter to receive news and updates about the film.